The 327 c.i.d. 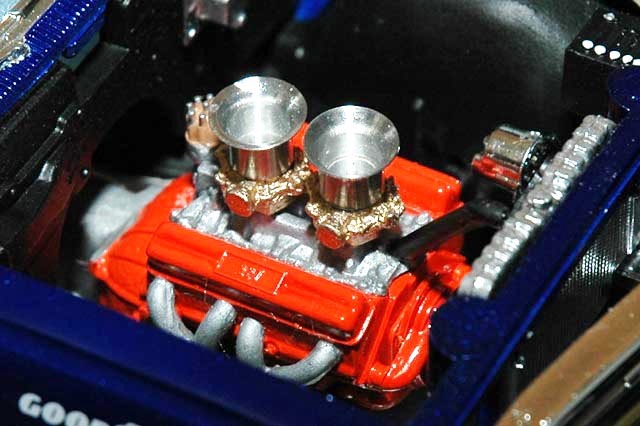 small block Chevy mill is topped by a two-four manifold and dual carbs from the Replicas and Miniatures Company of Maryland. Perched atop the carbs are a set of Parts by Parks velocity stacks.